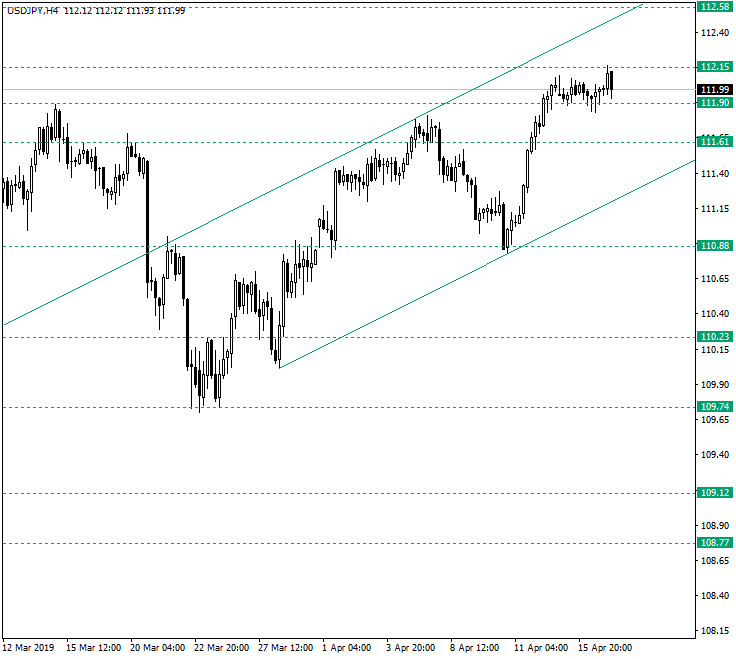 The pair is in an ascending move from 106.92. 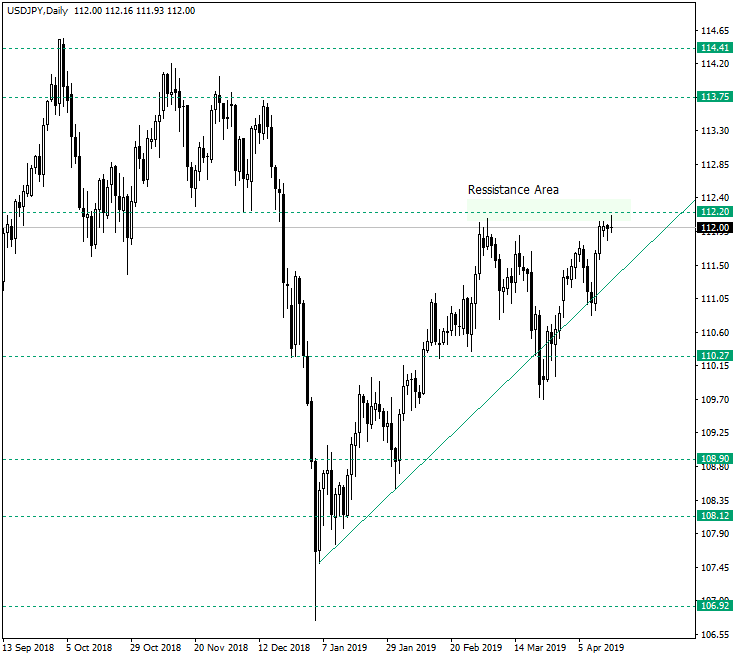 After stagnating at the 112 resistance on the beginning of March 2019, the profit taking phase of those who bought from 106.92 and subsequent resistance levels that tuned into support — mainly 108.12 and 108.90 — caused a decline that tested the double support established by the support trendline of the ascending move and the 110.27 level. Despite the violent piercing on March 22, 2019, the price recovered and on March 28, 2019, confirmed 110.27 — which correspond to the 110 psychological level — as support, triggering an upper leg that reached the 112 resistance area for the second time this year. Even the April 8, 2019, retracement prior to the actual arrival to the 112 level got stopped by the ascending trendline, which send the price back to 112 again. For now, it looks like a bullish flag is being materialized on the charts, the flagpole being April 12, 2019. Such a pattern displays a pause of the up-ward movement which is to be followed by yet another move to the north. This is because such patterns are continuation patterns. After confirming 110.23 as support the price formed an ascending move, the last part of which is represented by the bullish flag discussed on the daily chart. This consolidation phase, that comes after the confirmation as a support of the 110.88 important short-term level, is very calm and forms around the 112 area. If it were the case of a strong bearish interference, then the decline towards 110.88 should had already been put into motion. But the fact that the price calmly oscillates around this area is a telling sign that the bulls still got work to do. Small declines could be seen, targeting the confirmation of the double support made possible by the support trendline of the ascending move and the 111.61 support level, but as long as this support holds further advancement is possible, with a first checkpoint at 112.58.